Bail is a topic often discussed around a camp fire. One person was granted R50 000 bail and another who committed an identical crime, was granted R5 000 bail. Following is some perspective regarding the determination of bail. Section 12 of the South African Constitution stipulates specifically that every person has the right to freedom and security, including the right to not be deprived of my freedom and detained arbitrarily or without sound cause. As a result of this stipulation, the court’s approach will therefore always be to not encroach on this right. If a person is therefore detained without bail it has to be accepted that it will have a detrimental effect on the community. Among others, it influences the person’s family relationships, as breadwinner he is now absent, there is no income, his family becomes a burden on the community (the community that had to be protected, resulting in his being incarcerated, now has to take care of his family financially and socially) etc. There are also other possibilities apart from keeping him in gaol. Bail is set depending on different factors. All the factors are taken into account to determine whether or not a person can be granted bail. Factors include: Previous convictions, other crimes, obstruction of justice, possession of a fixed address and work, his profile as a person, flight risk, more than one passport, does he have a family, his financial status etc. The purpose of bail is to ensure that the person will attend his hearing. Bail does not form part of the person’s sentence. Every individual case requires individual judgement every time. The two can therefore not be measured against each other for sentencing. 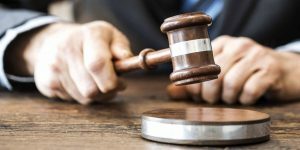 The same principles that are used for sentencing are applied for the determination of bail, but are not applied in the same way to each person’s individual circumstances. The bail amount will therefore differ from person to person, regardless of whether it is an identical crime.